Diamond Boutique stock a stunning range of wedding rings for women expertly crafted using the finest materials and skills. 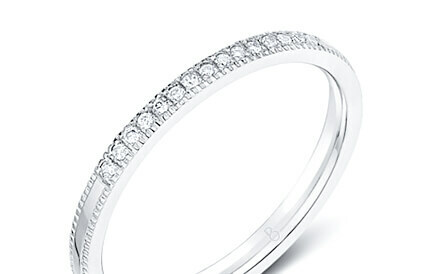 Diamond wedding bands exude a classical elegance that makes them the quintessential choice for a bride on her big day. Suiting yellow gold, white gold and platinum, diamond wedding rings for women can be as simple or as opulent as you want them to be. Whether you choose a band with a row of small princess cut diamonds set flush against the metal, or a solitaire marquis cut sitting atop of the band, they have the ability to be as beautiful and unique as the bride that wears them. We also offer a complementing range of men’s wedding rings designed with the same high-standards of our women’s wedding bands. Shop the range today; many designs are offered with free engraving.